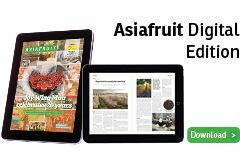 China, the second-largest market for Philippine bananas, currently takes 25.6 per cent of the South-East Asian nation's total banana exports. Following bilateral relations between Chinese president Xi Jinping and Philippine president Rodrigo Duterte, increasing volumes of the Philippine’s largest agricultural export show no signs of slowing. Despite high tariffs for Philippine bananas in Japan and Korea, Xinhua reported Philippine banana grower Pol Tuyor is experiencing the best time in his career. Located in Davao, Tuyor, who has been working in the industry for 25 years, said he is planning to expand his banana farm and increase manpower to keep up with the increasing demand for the fruit from China. 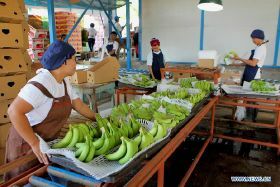 Aside from bananas, access for other tropical fruit from the Philippines is entering China, with a total of 2m tonnes sent in the past two years according to Xinhua. Nelson Chua, chairman of Philippine banana exporter Golden Mindanao says the company began sending fruit in 2009, but between 2015 and 2017 export volumes doubled. “It's almost 1,000 tons of bananas just from my company each week,” he said. Trade of goods between China and the Philippines topped US$50bn in 2017 according to the Chinese government, making China the Philippines’ largest trading partner.